ELMO Employee Self-Service (ESS) is a secure online portal that empowers employees and managers to update and review personal data relating to payroll, annual leave, performance, and more. 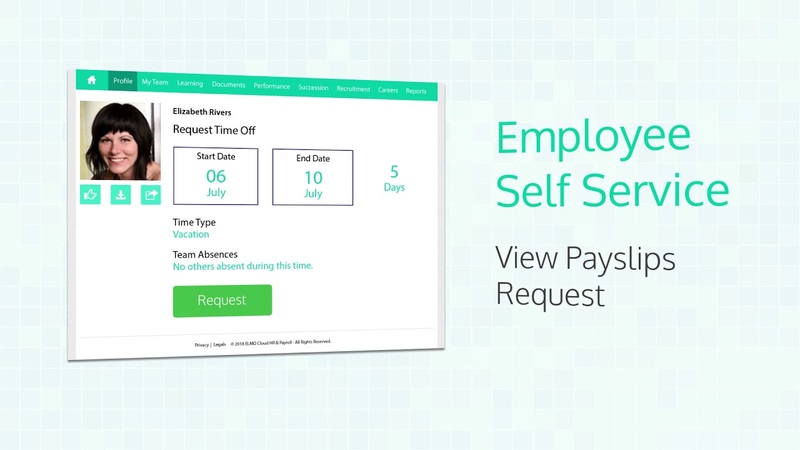 ELMO Self-Service reduces the heavy administrative burden by automating core HR and payroll tasks. With the ability to get real-time leave balances, make leave requests, update KPIs, complete timesheets, and access payslips & payment summaries, employees can undertake the administrative tasks traditionally done by HR. Managers can track employee absentee rates & performance, approve leave requests and access staff information in one location. By automating and digitising these functions, ELMO Self-Service can also help your organisation go paper-free. Find out more details about ELMO Self-Service. ELMO offers a comprehensive suite of cloud HR & payroll software solutions that can be configured to whatever your organisation requires, and are available within a single dashboard and single user interface. We can help your organisation streamline HR & payroll process to increase productivity, efficiency and reduce costs.